Here are some art recipes I have just stumbled across and thought they might be useful. Use for textural effects -can be sanded and built up as desired. Use for impasto effects, stamping ( place stamps in water prior to pressing onto molding paste for easier release). Some recipes add 1 part turpentine – enkaustikos omits this as it is toxic. your choice. I tried both and it did not seem to make much difference whether it was in or not. ( I preferred the version I made with the turpentine and paraffin wax additions.). Combine all ingredients, heat and melt together stirring until mixed thoroughly. pour into muffin containers. authors note: add oil paint for pigment or schmeinke pastels. Makes an easily handled dry hard cake. Directions for use: For encaustic technique, reheat and melt this material. grind in the dry pisgments and apply to a rigid panel with a knife. to use in paste form melt the pieces with a equal quantity of turpentine. Thinned sufficiently this will make a painting medium for use with tube oil paints. place into a glass jar with a tight fitting lid. ( I crushed my damar resin crystals first) turn and shake daily until resin is dissolved. This takes 2-3 days. If there are impurities in the varnish strain with a cheesecloth into a clean bottle. directions for use: oil painting – final varnish dilute solution with equal quantity of turpentine. Egg tempura – dilute solution with 4 times the quantity with turpentine. Original solution is excellent for a medium to add to other ingredients for paint or glazes.Dries in 1 hour. Purpose: gelatin solution provides a very clear bath for sizing white papers- making them suitable for painting -and gives extra strength to fragile paper. The old masters often painted with oil paints on sized paper. soak the imported leaf gelation in a pint of water until the fealtine swells to three times in dry thickness; then warm the gelatin and water in a double boiler until the gelatin dissolves. Pour this solution into the remaining water and stir well to disperse the glue completely. directions for use In a tray large enought to lay the paper out falt immerse the paper sheets in the glue solution for several hours. Remove the paper with great care. Bolt each sheet carefully aand hang it up on a clothesline to dry. You can also tack a dry sheet of paper onto a drawing board and brush the solution onto the sheet. Freshly sized paper can also be dried by laying it on a sheet of glass. After the paper has dried spray it with a 4% formaldehyde soluiton to further harden and protect the size. Note: A standard 37% formaldehyde solution can be purchased at drugstores. One part added to 10 parts water produces the proper solution. You can use a variety of different papers and clays to get the effect you want such as stoneware or porcelains. It is by experiment and your favourite clays. The recommended paper to use is newsprint but any paper (with the exception of gloss papers) will do. Thus ancient paper mixture allows the clay body to open up, lighten the weight and add strength. The recipe for this process is simple and easy – start by shredding the paper ( in a shredder works best and is faster than by hand) Soak overnight at least 24 hours. Next with a blender or drill with a mixing bit attachment mix the soaked paper until a thick paste consistency. Add your clay in powdered form – 60 parts powdered clay to 40 parts paperclay. For repairs on bisque or greenware: Add 1part magic water, 2parts clay mix until a slip consistency. next add 1 part toilet paper or tissue paper and mix until a smooth paste. glue the broken pieces together or with a small paintbrush paint the cracks with the mixture. let dry and sand with fine sandpaper **carefully***. Magic Water : used by sculptors and potters to adhere wet clay together after scoring the pieces. warm water – mix with hands and knead until consistency of clay. cut paperclay into chunks add water and paste. Mix and knead with hands until consistency of toothpaste let dry overnight. seal in ziploc bags. Modified recipe. longevity unknown as it depends on the quality of materials being used. First: Oils, mineral spirits, and wax are flammable. Do not use near an open flame, or smoke while using them. This implies you should NOT use a gas stove for making OPs. When melting the wax, keep the temperature as low as possible. Wax melts at 140-150F; don’t let it get any hotter. Keep an appropriate type fire-extinguisher or at least some baking soda at hand to extinguish a potential fire. Do NOT attempt to put out such a fire with water. Second: potentially noxious fumes can develop if you over-heat the wax. When melting the wax, make sure you have adequate ventilation. Third: the toxicity of some of the pigments. You need to avoid breathing in, inadvertently consuming, or skin contact with, pigment powder. Avoid using the most toxic, and wear a government-approved dust mask and gloves when dealing with the pigments. Wear long sleeves and pants to avoid skin contact. Keep some water and paper towels at hand to clean up any stray pigment dust. Do not mix the pigment with a fan blowing or the window open. It is best to work in your studio, not in the kitchen where pigment might contaminate your food. Keep pets and children out of the area. Bleached beeswax – this can be purchased at an art store or at Michaels. Bleaching makes it white, which you need for lighter colours. An even purer grade is Pharmaceutical grade, which can be purchased on the Internet. See www.fineartstore.com for a discussion of the pros and cons of different waxes for encaustics, some of which is relevant to the making of OPs. Pigments – I was able to buy small containers of pure pigment (Demco brand, a Canadian company) at my local art store. All were in the $7-$8 range, except for the one Schminke brand I bought (pthalo blue) which was $30.00. Odourless Mineral Spirits – Leslie uses turpentine to mix with the powdered pigment to make a paste. I don’t like the smell of turpentine and have substituted OMS. It seems to work fine for this purpose. Oils – I am currently using half mineral oil (bought at the drugstore) and half Winsor and Newton Stand Oil for my oil. Leslie only uses stand oil, a slow-drying form of linseed oil. Mineral oil is a non-drying oil, which appears to be used in today’s artist-grade OPs. So I have combined the two, but this combination is experimental and subject to change. Griddle – Some people, including Leslie, recommend melting the wax over hot water, using a double-boiler on an electric hotplate, as the safest method. I have chosen to use an inexpensive griddle with a temperature control (bought at Walmart), based on reading about encaustic equipment. I determined the correct temperature-control setting by heating water in my wax-melting container and measuring the temperature with a cooking thermometer. I do avoid splashing or dripping wax on the griddle surface. Container for melting the wax – As I make only one OP at a time, I’m using a stainless-steel measuring cup (1/2 or 2/3 cup size) in which to melt the wax. Since the wax cools very rapidly when removed from the heat, you will waste a lot of material if you use too large a container. But you need one which is tall enough to prevent spillage when you are mixing in the oils and pigment paste. Glass plate for making pigment paste – I bought a glass cutting board at my local Home Hardware store. One side was textured, but the other side was smooth, which is what you want. Measuring spoons – For dipping out appropriate amounts of the pigments you are going to combine for a given colour. It’s best to have several in different sizes, so you don’t have to stop and clean them during the pigment-mixing stage. Large flat palette knife, narrower-bladed palette knife – The large knife is used to mix and grind the pigment paste to a smooth consistency on your glass plate. ( A glass muller is not necessary.) The narrower-bladed knife is used to stir the melted wax, medium and pigment paste to blend them. Eye-dropper, syringe – To draw up the right amount of mineral and stand oil from their bottles. Stand oil is very thick, much like honey, so you need a dropper or syringe with a wide opening. Mask and vinyl gloves – Needed particularly for the pigment-paste mixing stage. Oven mitts, and fire-extinguisher or baking-soda – I find that my measuring-cup handle doesn’t actually get hot (I keep the cup at the edge of the griddle), but the gloves will protect your hands if the wax splashes for any reason. Leslie recommends rolling a double layer of heavy-duty aluminum foil around a cylindrical object of the required diameter to create a tube. I use my pastel holders for this. I happen to have two, one smaller diameter and one larger, so I can make either size. Then you fold over a seam (I double fold the foil to make a secure seam) and fold up the bottom. Remove the cylindrical object at this point. To hold the tube upright, use Play Dough, or you can make a permanent support out of self-hardening clay. Place the mould on newspaper or paper towels so you can catch any drips when you pour the liquid into the mould. Open the window or ensure other adequate ventilation. Extinguish any open flames. Using a griddle or a double boiler, melt the wax at 140-150F. Do not overheat. Remove the container from the heat and add the stand oil and the mineral oil. The proportion of wax to oil should be approximately 3 or 4 parts beeswax to 1 part oil. I am currently using a mixture of 50% stand oil and 50% mineral oil for the one part oil. If the wax starts to solidify, return the container to the heat briefly. The desired proportion of pigment paste to wax medium is approximately 50/50, depending on the pigments used, since pigments have different oil absorption rates. Add the pigment paste to the wax medium mixture and stir well to combine. Return the container to the heat if necessary to keep the wax medium melted, but don’t leave it on the heat for a prolonged time. Carefully pour the liquid into the mould. Leave the pastel to harden for at least two hours, preferably more. leave the tinfoil on the OP as a wrapper, peeling it back as necessary. Place in a plastic bag overnight. Information I have found useful in my research of the medium of encaustics. http://www.monalisa-artmat.com/encaustic.htm for a FREE link to your art website contact this site with your url address. Here is a list of the materials I have purchased and the approximate cost. I purchased a travel iron $8.00, electric griddle $15.00 at the salvation army. I already had a crockpot, a large block of wax and oil paints. I purchased damar resin crystals at the art store for $10.59. substrates vary according to type and cost. One that I found that is reasonable and a relatively new media is magnesiacore http://www.magnesiacore.com/ a construction material that can be painted on in encaustic, watercolor, acrylic and oil. One all purpose substrate. I purchased a soldering iron for $27.00 approx (too hot needed to buy a encaustic stylus instead) and a heat gun with a digital heat control for $89.00 at canadian tire. The name of the game is controlling your heating source. I took a trip up island to leapenhi paper and design in Courtenay BC canada and found a great selection of encaustic wax and supplies developed by Michael Bossom. I purchased the stylus for $62.95 and the 16 wax starter pkg for $29.95. The ladies running the store were wonderful and very helpful. The total costs were approximately $217.00. I am starting my owl project tommorrow and will post more info and pics. For the past couple of days I have been painting with encaustic as a medium. I was asked to do an owl in realism on a piece of glass for a stain glass window for the designer and good friend Marjorie Brice. I approached her with the idea of creating it in encaustic as it has the look of a stain glass window when painted. To my surprise She was totally up for the experiment so I will be documenting my project here. It has been a worthwhile journey of research for the past month. Finally I decided it was time to actually attempt the medium. What happened over the past week was quite thrilling for me – I get excited over paint -its a weird obsession. What gets me about encaustic is the fact that if I can master this ancient artform I can incorporate all my artforms into one medium. I can sculpt, paint and draw realistically with encaustic. It can be as colorful or as plain as you want it to be. You can texture it add relief, sculpt, collage anything into it, make it 3d, 2d abstract or realistic figurative . In my mind encaustic is more versatile than any other medium. You can paint on glass, wood, just about anything. I wouldn’t paint on canvas though as it needs a hard substrate as canvas is too flexible for this medium. Some artists do use canvas though so you may not necessarily need to rule it out if it is solution to a certain project. After I completed my YOUTUBE research on encaustics I happened to be looking in the local newspaper which I never read and I never read the free section either but by obvious direction from the universe my eyes glanced at the paper and I saw an ad for free tempered glass shelving. I immediately called because I was thinking glass would possibly be a beautiful substrate for my encaustic experiments. I always go from most difficult to easy – go all or go home. Anyway funny thing the guy who called first ‘ first come first serve’ never showed up and I went and picked up a small pickup truck filled with glass. I couldnt believe it ! here was enough glass canvas to last a year AND it was free ahh the universe is amazing *note my husband wasnt as excited about it as I was. Artists are amazing at recycling. The owner of the glass said it must of been meant for me as he had a lot of interest but noone actually showed up. After that I decided it was time to go thrift store shopping for my encaustic supplies. I picked up an iron (flat metal with no holes and small) and a pancake griddle to heat the wax paint cakes. next I needed to actually make the paint. I heated my wax in an old crock pot and added the damar resin crystals a ratio of 8parts wax to approx 1 part resin. (for the glass painting I will be adding more resin). Next time I will be heating my wax in a pan on the pancake griddle as I had trouble getting the damar resin to melt – it melts at 200 degrees and the wax at 150 -I think I need to complete some more research . There is no temperature gage on the crock pot so it was not working too well– live and learn. Once the mixture is heated together pour into muffin containers and add oil paint or schmeincke pastels (excellent pigment for encaustics I am told) or pigment powders. I added some oil paint **tip: leave over night on a papertowel to remove some of the oil and ‘voila’ paint. I had some porcelain relief tiles that were fired and unpainted downstairs that would work great for my first encaustic project. You can paint on unpainted ceramic- go figure? I invited my artist friend Sandy Terry over to help me christin my new thrift store buys and she painted on a wooden panel while I worked on my relief tiles and a small paperclay cameo. I was really frustrated but Sandy absolutely loved it. Working a textured free form medium over a hard surface with relief was more than I had bargained for. But in the end I think me and the encaustic came to a mutual agreement. for my first attempt I am happy and excited about the challenge this medium will bring into my art. paperworks2010 northwest art ctr, minot state univ. I definitely have my work cut out for me. will update as I find more sites. My new project is on the back burner. It isn’t working out the way I had hoped. I am letting it sit for a few days while I wait for a creative link in my brain to leak out something that will save this painting. For now I am working on a drawing and practicing my skills in watercolor and have new insights as to the wonderful learning opportunities in this medium. I am also working on an owl commission that will go into a stained glass window. I will post pictures of this work as I complete it. I am in a constant battle for which medium to work in as I find my niche. My figure is on its way to london england I hope it enjoys the trip – it will travel farther than I have this year. I would love to go to england a place I have never seen but have an eternal attachment to. As an artist your talent and creative ability comes from somewhere. We are all unique and different but as much as our genetics doesn’t have anything to do with who we are it can also have very much to do with who we are. In researching my family history I was not only surprised but amazed at the some of the similiarities in their artwork and mine. I love to do portraiture, cameo’s, sculpture, drawing and figurative. The artists in my background were figurative realists in both painting and sculpture. Most notable ancestors are Benedetto Pistrucci a sculptor that worked in the Royal British Mint, his brother Phillipe Pistrucci a printmaker closely associated with Dante Gabrielle Rosetti ( He is known for his painting of Dante’s sister Christina Rosetti -a poet), my great great grandfather E.J. Cobbett was a member of the Royal British artists and William Cobbett (famous for his writing and member of England’s parliament mid 1800’s). I am not saying that I have arrived but to say the least I am proud of my heritage and am influenced everyday by the legacy left by my ancestors. Trust me somedays it feels like a lot to live up to. Benedetto Pistrucci (May 29, 1783 – September 16, 1855) was a talented engraver of gemstones, cameos, coins and medals. 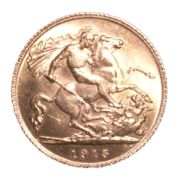 Born in Italy, he moved to London in 1815 and was employed at the Royal Mint as an engraver, where his most famous work is his portrayal of St. George & the Dragon used on British gold sovereigns and crowns from 1817 to the present day. He also engraved the dies for many other coins, medals, and medallions, including the Waterloo Medal, which took him over thirty years to complete. He refused to copy the work of any other artist or engraver, and insisted that all his work was his own original work. Because of his Italian origin, he was not officially recognised as the chief engraver at the Royal Mint, and there were rivalries with other engravers including the Wyon family. Medallists were petitioned to submit designs for the medal. Pistrucci’s design was selected over a design by John Flaxman, which had been recommended by the Royal Academy. However, due to an internal strife at the Royal Mint between Pistrucci, Pole, and Wyon regarding the position of chief engraver, work on the medal got off to a slow start. Ongoing personality conflicts within the Royal Mint, salary disputes, a heavy workload, and the utter complexities of the proposed design were all contributing factors as to why it took Pistrucci 33 years to complete his masterpiece. In 1849 the dies were reportedly finished, but only in terms of design execution. Although the dies were created in four pieces to assist in their hardening, it seems that nobody was willing to take the risk of damaging Pistrucci’s work that was three decades in the making. Unfortunately, by this time all of the intended recipients of the medal were deceased, with the exception of Wellington. Gutta-percha impressions and electrotypes were finally created. Pistrucci was finally able to see his magnum opus in medal form. He died a few years later, in 1855. See: Heritage Auction Galleries, Sept 16 2008 auction of electrotype medal, copyright acknowledged. Pistrucci is buried in Virginia Water, Surrey, England at Christ Church. He has a prominent gravestone which cites his title as Her Majesty’s “Chief Medallist”. His grave is situated at the front of the Church under a tree. This is my next painting project. Currently working on this painting – not sure of whether it will be oil or acrylic or mixed media yet. hmmm. anyway I will be calling it ‘ come dance with me’ or ‘Be the one’ from a poem I wrote. I will be posting my progress as I am very excited about an artistic idea I have for this painting and you will have to come back and check if you want to unravel the mystery of how this painting will turn out.